The borough of Tenafly was first settled by Dutch immigrants in the late 1600’s and was officially incorporated in 1894. With its scenic beauty and rich history, Tenafly was listed as the seventh “Best Place to Live” in New Jersey by New Jersey Monthly magazine. Tenafly is located in popular Bergen County, New Jersey, one of the wealthiest counties in the nation, and continues to grow as a popular location for young and old alike. As a suburb of New York City, you can’t beat the convenience of small-town living combined with Tenafly’s easy access to major city attractions! When choosing from local Tenafly moving companies, you need to ensure you are working with professionals equipped to meet all of your relocation needs. Booth Movers is BBB accredited, ProMover-certified company that offers the area’s best Tenafly moving services! For relocations large or small, our experienced Tenafly movers are capable of making your next move a seamless process – wherever life takes you! 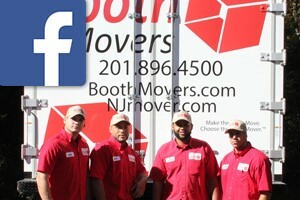 Founded in the 1940s, Booth Movers has been the most trusted name among Tenafly moving companies since 1945. Our affiliation with Atlas Van Lines provides our Tenafly movers with access to the equipment and resources needed to handle residential relocations of any size or complexity. Our professional Tenafly moving services cover a wide range of residential relocation needs and can be customized to suit your project! For more information, see the links below! Residential Moving – Regardless of the complexity of your residential move, you can count on Booth Movers to handle all of the details. Household Moving – From small apartment relocations to full-service household moves, our Tenafly movers do it all! Local Moving – When relocating in Bergen County, you need an experienced Tenafly moving company that knows the ins and outs of the local area! Long-Distance Moving – Take the stress out of moving a long distance by using our Tenafly movers for all of your relocation needs! Interstate Moving – For a seamless interstate move, there is no better choice than the professionals at Booth Movers! Full-Service Moving – Our Tenafly moving company offers customizable moving services, including packing, crating, and specialized transport of high-value items. International Moving – When you need someone to handle the details of an international move, you can count on Booth Movers to make it a seamless process. To find out more about the first choice among Tenafly moving companies, just give Booth Movers a call today! You can also fill out our simple online quote form to request your free, no-obligation moving estimate!